Assam Chief Minister Sarbananda Sonowal has rushed to New Delhi on Thursday even as the health condition of former Prime Minister Atal Behari Vajpayee deteriorated since early morning. Sonowal leaving aside all his official assignments have gone to the national capital to take stock of the health condition of the former Prime Minister. Notably, the Bharatiya Janata Party (BJP) has cancelled all party related programmes on Thursday as the health condition of the former Prime Minister turned critical. Vajpayee is presently under life support at the All India Institute of Medical Sciences where he was admitted on June 11 with kidney tract infection, chest congestion and his urine output being on the lower side. 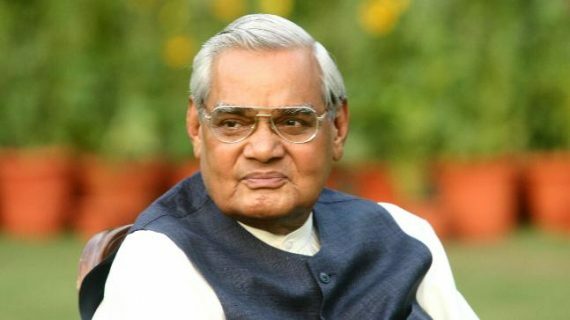 Vajpayee’s condition deteriorated around three days back and he was kept on life support on Wednesday. Vajpayee, a diabetic, has only one functional kidney. He suffered a stroke in 2009, weakening his cognitive abilities. Later, he developed dementia. Vajpayee was elected as Prime Minister thrice during 1996, 1996-1999 and during 1999-2004 — when he completed the full five-year term as a non-Congress Prime Minister. As his health deteriorated, he slowly withdrew himself from public life and was confined to his residence for years. Earlier on Thursday morning, Vice-President M Venkaiah Naidu and BJP leaders, including Home Minister Rajnath Singh, party president Amit Shah and BJP veteran L K Advani, visited the AIIMS to enquire about his health. Meanwhile, the premiere medical institute in New Delhi is witnessing footfalls of political stalwarts cutting across party lines to enquire about the veteran politician.